No. 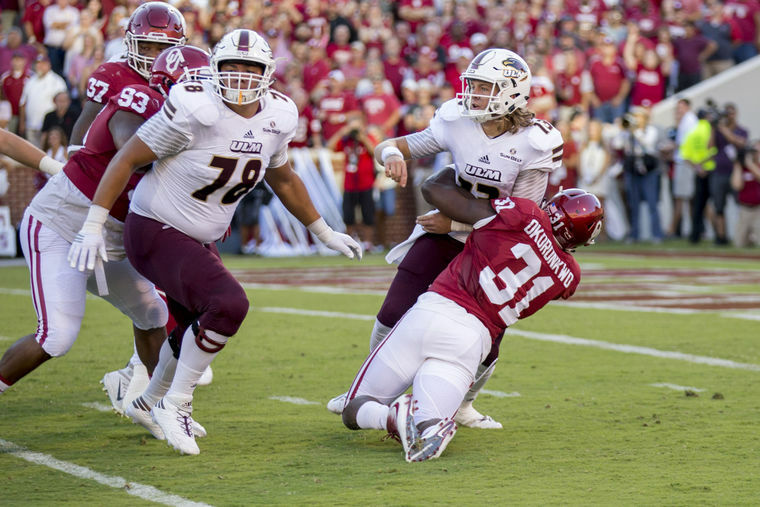 12 Oklahoma has dealt with numerous injuries so far this season, but defensive coordinator Mike Stoops said he expects to have one starter back for the Sooners' matchup with Iowa State. Outside linebacker Ogbonnia Okoronkwo, who goes by "Obo", reportedly left Texas Tech's Jones AT&T Stadium on a stretcher after the Sooners' 66-59 win on Oct. 22. Okoronkwo missed OU's win over Kansas on Saturday, but is now expected to play vs the Cyclones on Thursday. "Obo's practiced all week, and he's ready to go and, we'll need him on the field," Stoops said. "He's one of our consistent playmakers, and we'll look for him to have a big game Thursday night." 10/29 Kansas W 56-3 No statistics available.